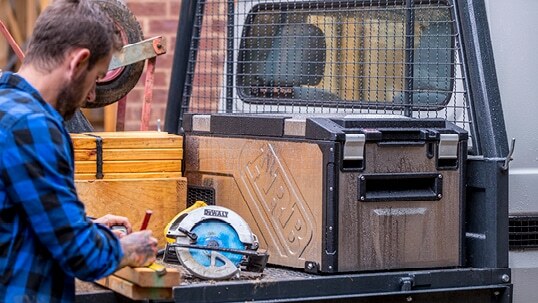 No more digging your bare arms, elbows deep, in ice while scavenging around for a can at the bottom of the cooler; no more water-logged steaks and floating grapes – experience ‘Fridge Freedom’ with ARB’s range of fridge freezers. Engineered in Australia to handle our extreme conditions, ARB Fridge Freezers offer uncompromising performance with a temperature range from -18 degrees to + 10 degrees celsius, giving you the convenience of refrigerated or frozen food and drinks no matter where your journey takes you. Tested extensively for off road, outback and sea-side usage, the range of ARB Fridge Freezers will complement your boat, car, caravan or camper trailer; available in 35, 47, 60 and 78 litre capacities, all backed by a comprehensive three year warranty. 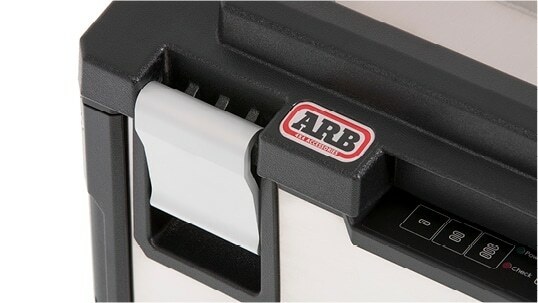 It’s almost a decade since ARB launched the first model in its proven line-up of portable fridge freezers. Today the classic range consists four models with capacities ranging from 35 to 78 litres, meaning there’s a fridge to suit every vehicle and use. Our new flagship ‘Elements’ fridge freezer is constructed of stainless steel and offers a fully weatherproof exterior. While designed to withstand 365 days a year mounted on the back of a ute, the new 60 litre Elements fridge freezer is just as suitable in the back of a wagon, under a dual cab canopy, in the kitchen of the camper or on the deck of your boat. 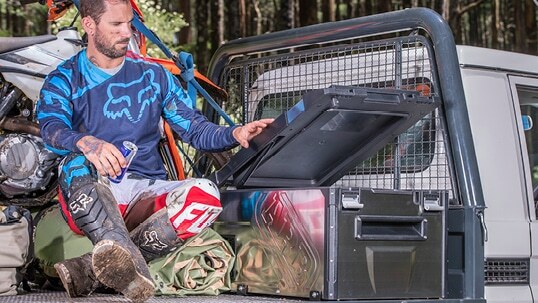 In addition to its rugged stainless steel and weatherproof exterior, this 4WD, fishing and camping portable fridge freezer features a gas strut assisted lid, which means you no longer need to hold the lid open as you search the fridge. Wandering hands will be kept at bay with the introduction of a programmable electronic 4-digit pin lock, ensuring temperatures are not changed, drinks are not swiped and power is not switched. Protect your vehicle with the best. Sunshine Coast’s premier 4WD Centre, conveniently located in the heart of Maroochydore.